You waited for a long time, but now it is finally available for home use. This is a slightly used fully functional prototype version of the stretch wrap machine featured in my accessories category. The industrial plastic wrapping machine. You always fantasized about being wrapped by one. Well now is your chance to own one. Your going to need a big play room for this one, because the turn table measures 24" round, and stands 8" from the floor. The turn table speed can be adjusted from 7 rpm to 12 rpm. 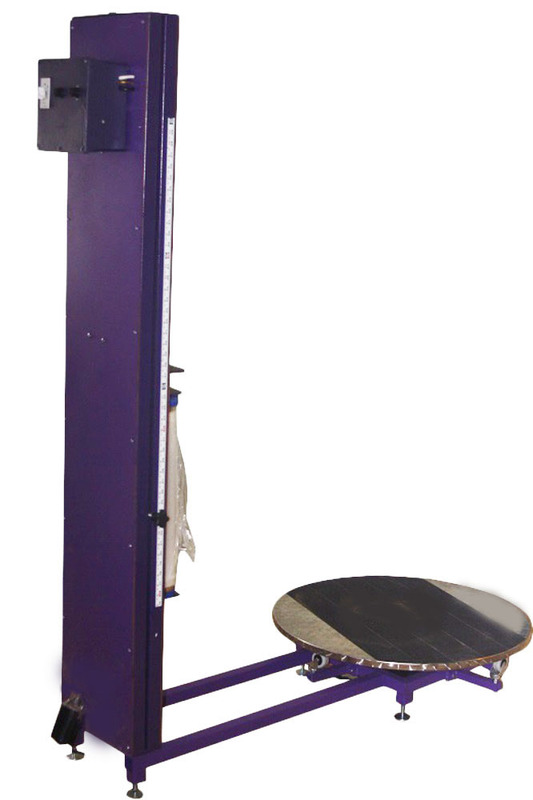 It is built to rotate a load weighing as much as 400 lbs. 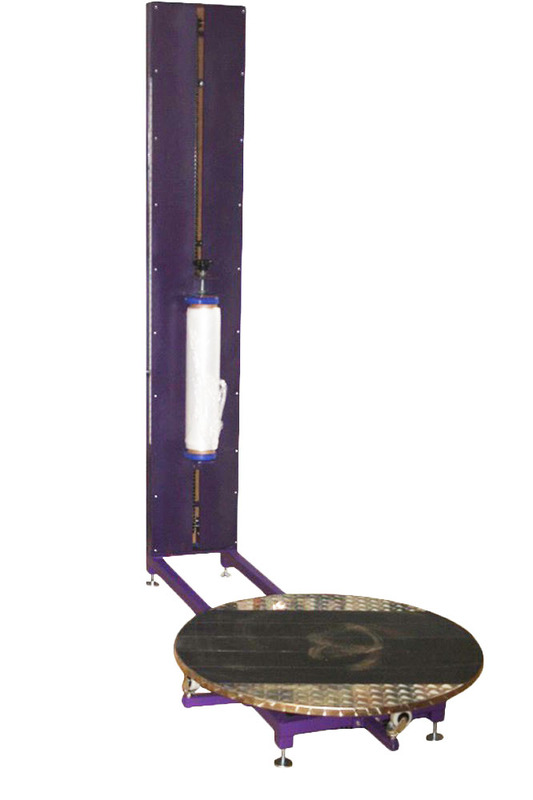 The plastic dispenser stands nearly 6' tall, and is designed to hold a 20" wide roll of plastic. You can adjust the speed at which the dispenser travels up and down. You can also adjust the tension at which the plastic is dispensed, to get a nice tight wrap from ankles to shoulders. The machine has a timer to turn itself off automatically at any set time from 1 to 5 minutes. Imagine getting a good sound spanking while wrapped tightly in stretch plastic.